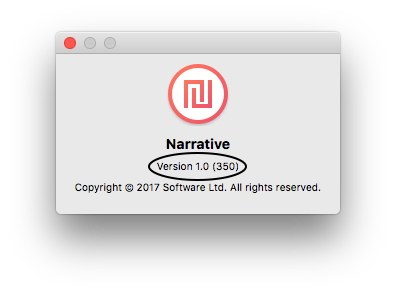 Sometimes you might want to know which version of Narrative you are running, whether you need to tell a Support person, or so that you know that you're running the most up to date version of the app. 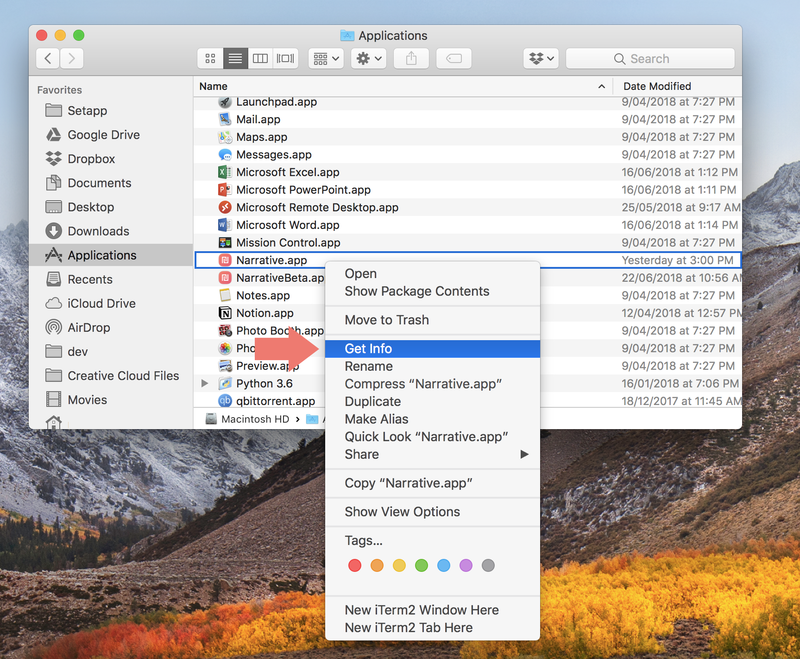 A window will popup displaying some key information about the app. 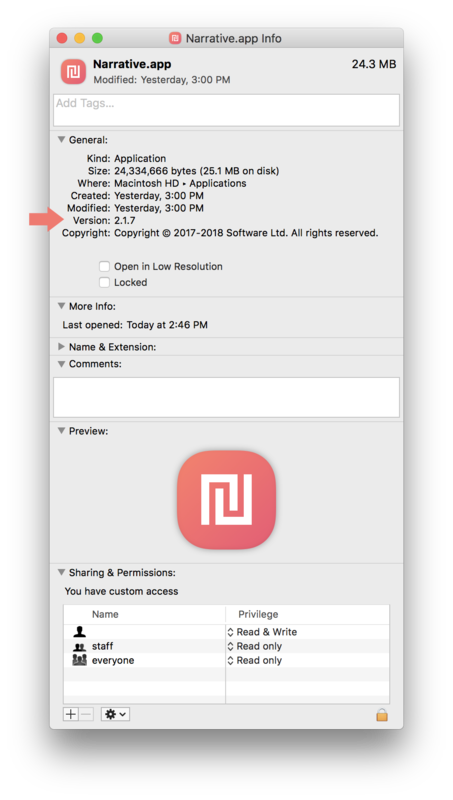 In this example the version is: "Version 1.0 (350)"